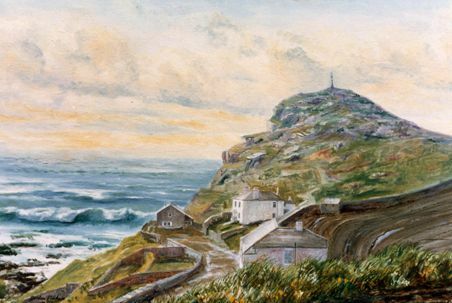 A wild remote place in West Penwith, on the South West toe of England were the Atlantic Ocean washes the ancient Granite Kingdom of Cornwall. An early example of a Gordon Frickers Painting. Part of a project to paint the locations in SW England visited and painted by J.M.W. Turner.